Tailoring the look of your home’s exterior is one way to create a space that reflects your personality. There are many cheap landscaping ideas you can tackle on your own that are high impact without a high price tag. Backyard landscaping ideas can be as easy as adding pavers. Turn a garden path into a series of mini patios by using large islands of flagstone separated by ribbons of thick turf. In this backyard, the paved pieces have two functions: They act as a handsome and stable garden walkway, and they are large enough to handle outdoor seating when the family hosts a large party. 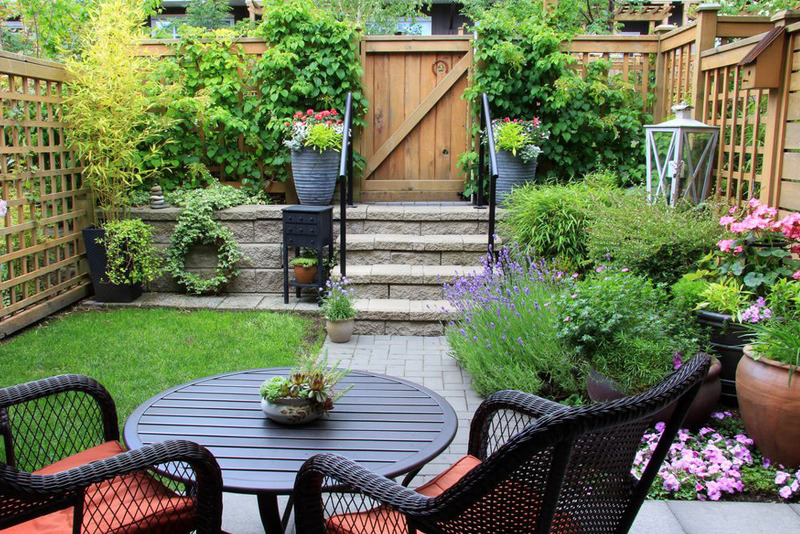 Most backyards include a patio area and perhaps a lawn. But there are many parts to a backyard that can make it more personal and enjoyable. From a warm fireplace or fire pit, to a pool for cooling off, backyards are all unique and include many different elements. 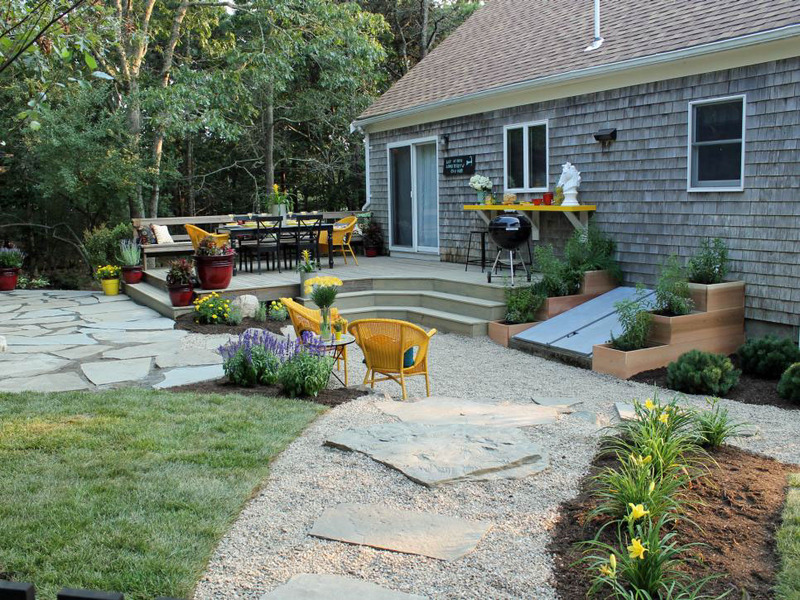 Creating a modern, beautiful yard doesn’t have to cost a lot. In fact, the gorgeous, million dollar contemporary gardens in the magazines are possible today thanks to creative designers with a desire to use materials and plants that were easily sourced and more environmentally sensitive. Landscapers and architects wanted to re-use creative materials that were low-maintenance, cheap or free and plants that required little care or water. A cheap landscaping idea that creates great visual impact is the use of pavers and ground cover. If you have unused ground space in your yard or bare earth you’d like to cover up, use recycled or broken pavers in a mosaic pattern of your choice. Plant moss or creeping sedum between the seams for contrast. The combination of the two materials means you need less of each, saving you money. 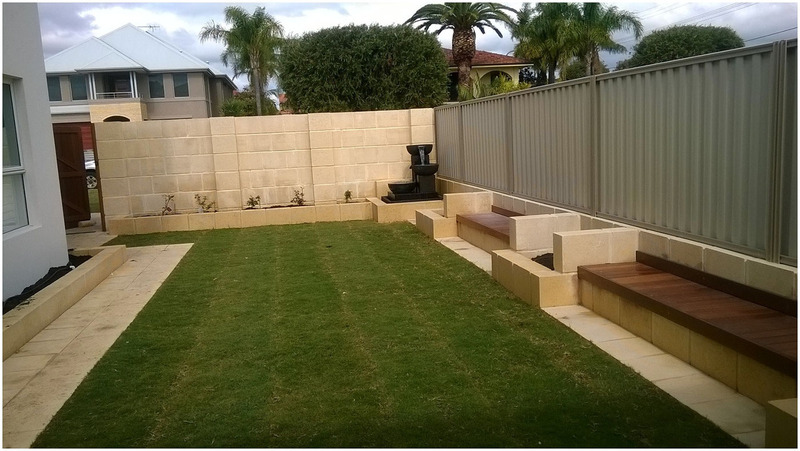 Whether you have a small yard or a property where acreage is no object, you can enhance your lawn and garden in a number of ways. You can add a patio or a simple deck, beef up your landscaping, or create a garden that brings beauty and wildlife into your backyard. If you’re on a budget and need to do it on the cheap, there are several easy and inexpensive things you can do to accomplish a first-rate backyard makeover. Create the space of your dreams—where you can host a party, or just relax and read. There are many flowers and plants that can grow from a small cutting of another plant. Before you head to the nursery to buy plants, seedlings or bulbs (which can be expensive), ask friends who have foliage that you admire for several small cuttings of their plants. Some beautiful flowers and plants like succulents and butterfly bush grow very well from clippings and will spruce up the look of your home’s exterior. You probably already have what you need in your home to grow flowers or vegetables, so you don’t have to buy raised beds or planters from a gardening store. Some great ideas for planters that you might already have on hand include wine crates or barrels, tires, or old pallets. Cluster repurposed planters at different heights to add depth and dimension, and give a visual focal point to your garden. A combination of grasses adds texture, color and a modern look to your garden. While they can be a great, low-maintenance addition to your yard without breaking your budget, grasses help your landscape look high-design and expensive. Use gravel in spots where plants don’t thrive, there’s heavy foot traffic, drainage problems or an area where an architectural, modern look is needed.